As with any type of emergency, preparation for pandemic influenza is key. Your healthcare organization must have a plan in place to prepare for such an event. This course will address the three stages including preparation, response, and recovery. 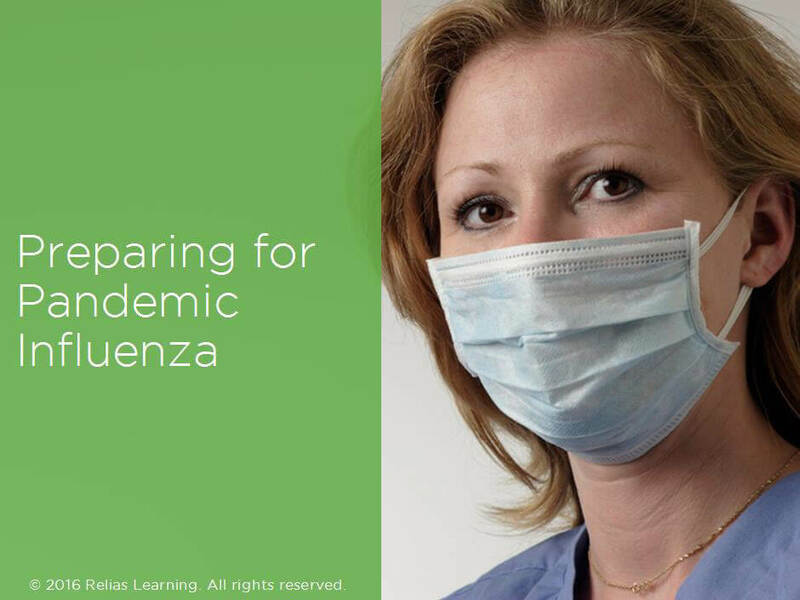 In this course, you will learn about pandemic influenza, the basic elements of a pandemic influenza plan, and the steps needed to implement this plan when responding to a pandemic. Explain how pandemic influenza occurs. Describe three essential elements of a pandemic influenza plan. Explain how the elements of a pandemic influenza plan are implemented during the response phase. Section 1: Introduction A. About This Course B. Learning Objectives Section 2: Understanding Pandemic Influenza A. What is Pandemic Influenza? B. Viruses that Cause Pandemic Influenza C. Changes in the Virus D. Phases of Pandemic Influenza E. Review F. Summary Section 3: Preparation A. The Plan B. Available Resources C. Pandemic Influenza Committee D. Elements of the Plan E. Surveillance F. Diagnosis G. Infection Control H. Staffing I. Medical Surge J. Education K. Imminent Preparations L. Supplies M. Review N. Summary Section 4: Response and Recovery A. Activating Your Plan B. Identifying Potential Cases C. Diagnosing Influenza D. Preventing the Spread E. Standard and Droplet Precautions F. Avoiding Others G. Environmental Considerations H. Vaccination and Antiviral Medications I. Influenza Treatment J. Screening Employees K. Communication L. Second Wave M. Recovery Phase N. Review O. Summary Section 5: Conclusion A. Summary B. Course Contributor C. Resources D. References E. Congratulations! The target audience for this course is: entry and intermediate level Administrators; intermediate and advanced level Nurses; intermediate level Social Workers; in the following settings: All Healthcare Settings.